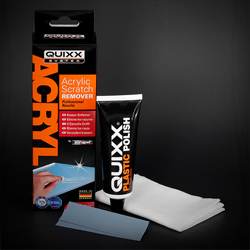 "I fitted the screen in about 30 minutes with no trouble at all. I was a little concerned though about the 2 'air balance' cut outs allowing water spray into the rear of the instrument panel. However, after having ridden through the rain there doesn't seem to be a problem at all. 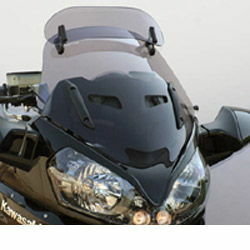 I am of average build and 5'10" in height, the screen offers fantastic wind blast protection for me. 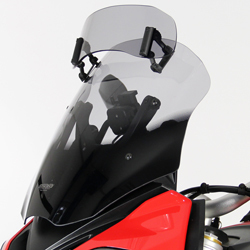 Just as important, the screen increases pillion riding comfort with regard to the 'new' aerodynamics. Aesthetically the screen is far superior to the original, the bike looks fantastic. The screen's quality shines through for the looks alone. 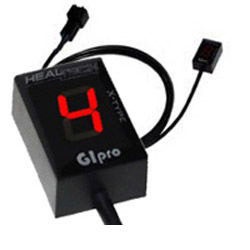 It's a great modification to the bike, one I would highly recommend to any GTR rider." 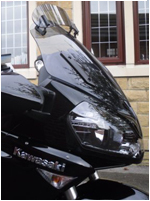 Please note: Even though Kawasaki increased the size of the standard screen from the 2010 model, the MRA Vario Touring Screen still offers a significant and very worthwhile improvement for the rider and passenger, because of its adjustable spoiler and vented pressure-equalising design. 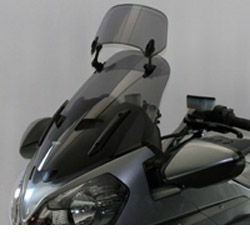 If you're a taller (6'/1.8m+) or longer distance rider - who needs even more protection than the Vario Touring Screen provides - you may wish to consider the X-Creen (see below). Delighted with quality screen and fit. Looks great. Many thanks. "Great screen, made the world of difference to sound and wind protection." 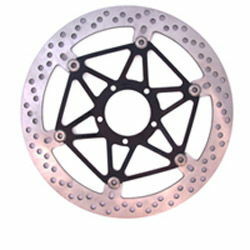 !quote, 57720, 57724, windshields, wind, shields, windscreen, motorcycle, motorbike, sportsbike, vision, vario, touring, screens, vario-screens, vario-shields, gray, grey, tinted, smoked, ecran, vent, pare-brise, 07, 08, 09, 10, 11, 12, 13, 14, 2007, 2008, 2009, 2010, 2011, 2012, 2013, 2014! ...absolutely awesome, I mean I’m not particularly tall but I do tend to sit, than perhaps it was designed, and it’s just absolutely great, it throws the air over the top of my head …they’re a lovely screen, they really are.